The weekend is drafting Top 10 lists. Two Hours. Unlimited Cocktails. Go. 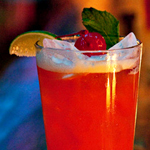 Your Perks: 1) 120 minutes of unlimited Caribbean cocktails at Norman’s Cay. 2) An epic party brunch at Mondrian SoHo. 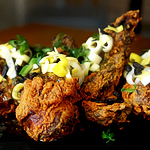 3) A Sunday of paella, sangria and live music on the LES, all for 32% off. Sounds fair to you. In the world of neo-Dada sculpture, no name looms larger than Urs Fischer. You’ll... have to take our word on that. 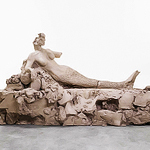 See, his sculpted renditions of The Last Supper and a mermaid are now at Gagosian’s new UES gallery and new LES pop-up, respectively. Alert your acquisitions team. 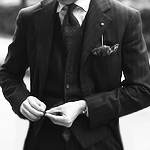 Behold, one of New York’s most exciting and rare phenomena: the bespoke-suiting appointments of Antonio Liverano. The legendary Florentine tailor is making one of his rare trips into town at Tribeca’s Armoury to ensure that you’re flawlessly haberdashed. So maybe stop by and pay your respects. 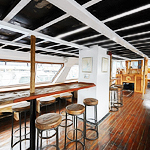 Brooklyn’s number-one floating dining vessel has returned to sail the high seas of the East River for spring and summer. Yes, the Water Table’s back with crab cakes and a solid rum list. It’s just not proper seafaring without a rum list. If you loved the ramen burger: FiDi’s new Ramen.Co has three of them, and three kinds of ramen, too. If silverware’s not good enough anymore: Alfredo of Rome is back as Alfredo 100 in Midtown. They’ve got gold forks. 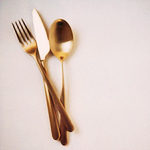 Gold spoons. And a proprietary dish you might’ve heard of.